Time flies. A lot has changed. 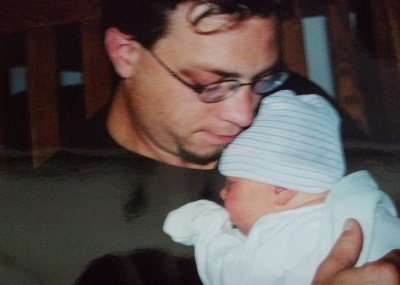 But nine years ago today I held my daughter for the first time. Nine years. I've had to start letting go. A little at a time. And hold on tighter every day. I'm not perfect at this Daddy thing. But I do my best, remain consistent, bend when I need to bend and learn from my mistakes. And this pays off through the actions and words of an amazing little gal! We went to a musical on Saturday where we ran into one of her classmates. During intermission the two girls were chatting it up and being, well, silly girls. Her friend made a comment that caught my attention. "How can you be so quiet in school?" My daughter didn't answer. This is not the first time I have heard this from one of her friends. And I concur. From sun up until sun down, she is a non stop talker. About this. About that. Her favorite weekend activity is chatting with me on the front porch while I enjoy my morning coffee. She tells me about school. She asks questions about things she doesn't understand. She asks about where I went for work the previous week. She comments on birds sitting in the grass. Yet in school, she is a quiet sponge. Always has been. Somehow, I have taught her the value of education. And respect for it. Somehow, she turned into someone that soaks up every bit of information she can. She can multiple and divide faster than I can, she knows things that maybe I did know at one point in life, just chose to file away. When she doesn't know the answer, she asks. And if I don't know, she turns to Google. But not just turns to Google. She researches. Not once will she find a single answer and accept it. She will verify it with multiple sources online. And if she can't verify it, she will ask me to help her find the right answer. Yes, she still does kid stuff. She hikes in the woods with her brother and the neighbors. She plays in dirt and catches bugs. She plays with dolls and rides her bike. She helps out around the house. She can cook a mean Hamburger Helper. She helps me bottle home made wine (I hope that's not illegal, she's just holding the bottle while I start the siphon). Washing dishes, cleaning her room, dusting, sweeping, yard work. The list goes on. 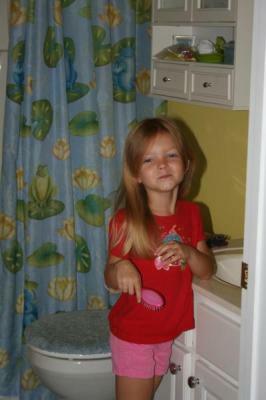 So today, as she sits quietly in school, I ponder all the memories I have of her and how she's not such a little girl anymore. But she'll always be my little girl. No matter how much I let go. I still will hold her tight. Forever. 1. Don't ever stop asking questions. 2. Don't ever stop being curious. 3. Don't ever stop loving. 4. Don't ever stop living. 5. Don't ever stop listening. 6. Do enjoy time with your friends and family. 7. Do enjoy all life has to offer. 8. Do enjoy southern sunsets. 9. Do enjoy learning new things. 10. Do enjoy challenges. 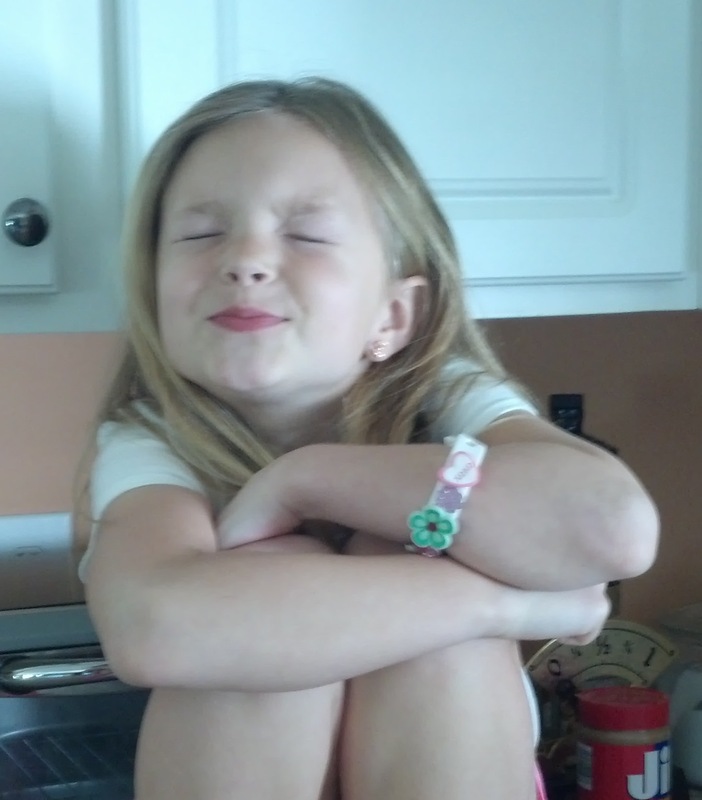 Happy 9th birthday sweets, I love you to the moon! Next year is 10! This entry was posted in life and tagged change, family, kids by mowracer. Bookmark the permalink.